A Long Island water district has agreed to study what's causing the mysterious water pipe pinhole leaks plaguing hundreds of Nassau County homes to try and find a solution. The Plainview water district says it sent surveys to about 10,000 customers last week and has already heard back from more than 450 of them who are reporting one or more pinhole leaks in their homes. Water officials are also making home visits to inspect pipes and test water samples. "Right now we’ve been to less than 20 homes," said James Neri of H2M, an engineer working with the district. "As we get through these field investigations, we are trying to figure out what types of trends we can sink our teeth into." The water district has already gone into 20 homes in just one week’s time, including that of Melissa Blezow-Yulet, who has had to demolish her kitchen after discovering a pinhole leak under her sink. In another part of Plainview, Steven Riegler says the water district has also visited his home, as well as some of his neighbors'. "We need to get to the bottom of this," he said. So far, Neri has plotted all 450 addresses where pinholes have been reported, but there are no problematic clusters or groupings that the district can focus on. The affected homes seem to be pretty evenly spread out. Engineers are testing the water for pH, chlorine, temperature, and water pressure. They are also checking the homes for stray electric current. 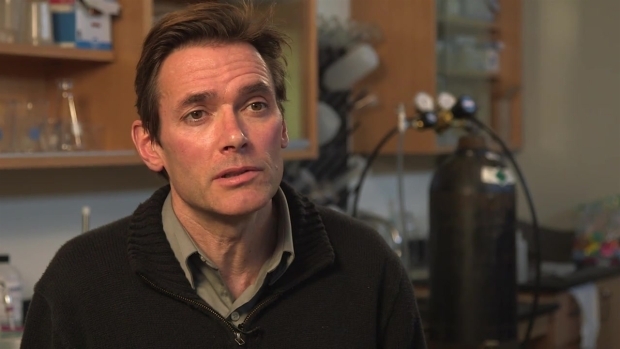 Virginia Tech professor Marc Edwards, a leading authority of pipe corrosion, was shown water data from the Plainview water district, obtained by the I-Team. He has one theory as to why the pinholes are occurring. "Everything suggests this water is highly corrosive in the context of causing copper pinhole leaks," he said. Neri said the Plainview Water District is consulting with Edwards. "With this investigation, the district is trying to balance their responsiveness to their residents while understanding at the same time what that chemistry affects," said Neri. "It’s always been measured based on the drinkability of the water, not necessarily how it affects the plumbing."